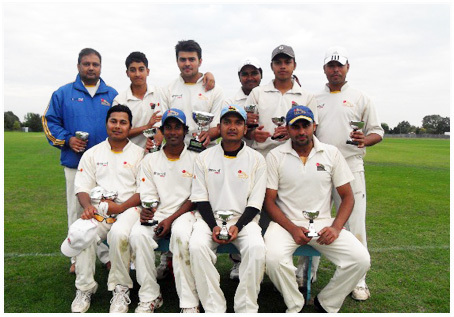 SimpleCall proudly announces that the Scintilla Cricket Club is the winner of the Division 1 Essex County Cricket League (ECCL). Having entered the Division 1 League just this year, the Barking and Dagenham-based club’s win is an especially notable achievement. That’s not all the club accomplished this season. Having won the Division 1 title on the last day of the league season, Scintilla CC had still to play in the T20 semi final, where the club finished as runners-up. As ECCL Division 1 champions, the club will be playing in ECCL Premier League in 2012. The team hopes to create a second XI to play either ECCL or Sunday League, and will enjoy SimpleCall’s continued support. What are my access numbers?